In a latest news update, it has been announced that England batting-allrounder Moeen Ali and bowling all-rounder Jamie Porter have been released from the England Test squad playing against India so that the duo can feature for their respective sides in the upcoming features of the Vitality T20 Blast. The Vitality T20 Blast is an inter-county T20 competition organized by the England Cricket Board (ECB). Sixteen counties have divided themselves into two groups of eight - namely the North and South Groups, and the top-four from each group will advance to the playoffs. Moeen Ali is an integral part of the Worcestershire Rapids of the North group and is also their captain, while James Porter features for the Essex Eagles of the South group. 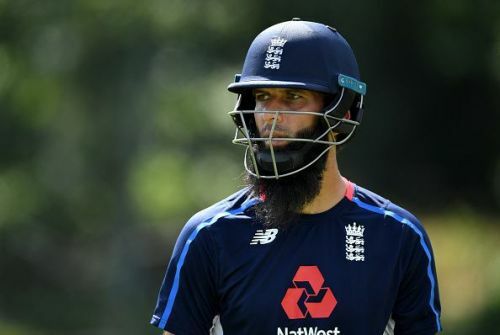 Both Moeen Ali and James Porter were named in the 13-man England side for the first Test match against India, taking place currently at Edgbaston, Birmingham. However, both of them could not find a place in the starting eleven, as Ben Stokes and Jos Buttler were preferred over them. As the England-India series rages on, there is also the Vitality T20 Blast to look forward to, as several county teams face each other off for the championship. With Worcestershire placed second in the North Group, they will be keen to acquire the services of Moeen Ali to help them take that extra step and lead the table by the end of Group stage. At the same time, Essex's stint in the tournament looks to suffer a premature death as they feature at the bottom of the South Group. Still, they are just six points behind table-toppers Kent, and can quite possibly turn tables around in the upcoming games and secure a top-four finish. James Porter could, therefore, be a vital addition to the squad. Ali's Worcestershire has games against Durham on 3rd and Nottinghamshire on 4th. Porter's Essex will feature in games against Kent, Somerset, Surrey and Glamorgan on 2nd, 3rd, 5th, and 7th August, respectively. Meanwhile, the first England-India Test will end on or before August 5th, and the second one will begin on 9th at Lord's, London. England vs India 2018: Will it be 2-2 or 3-1?